In the distance he caught sight of a little girl who seemed to be dancing along the waves. As he got closer, he saw the little girl picking up starfish from the sand and tossing them gently back into the ocean. “What are you doing?” the wise man asked? The little girl bent down, picked up another starfish and threw it lovingly back into the ocean past the breaking waves, “It made a difference to that one.” She replied. Reducing crime and violence in a community will help everyone. Programs to help young people just starting to break the law would change lives. Simple steps such as removing graffiti and improving the appearance of certain areas can be very effective to reduce crime in a community. Programs brought into the schools to teach children to avoid violence and how to settle disputes can be very beneficial. Introduce a school program, in specific grades, to teach peace, self-control, and non-violence to children. A specific program to remove graffiti or better the appearance of a specific area in a community can help reduce crime. Create a support group to help young persons just starting to break the law to help change their lives. 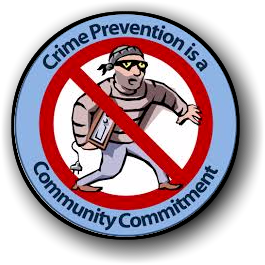 Partner with the police department to discover and distribute information on what a community can do to reduce local crime. A Helping Hand Foundation, Inc.